You may have heard about Marley Dias, a young girl who at the age of 11 began collecting books in which black girls are the main character. Well, Marley has company. Sidney Keys III, also 11 (Marley is now 12), has started a reading club, Books N Bros, centered on books that feature black boys as the main character. The St. Louis youngster was inspired to start a reading club after visiting EyeSeeMe,Â a bookstore in University City, Missouri. 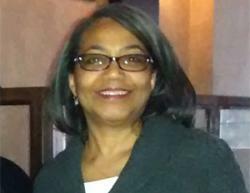 EyeSeeMe promotes African American children’s literature. Here’s more about Sidney and Books N Bros from that article. 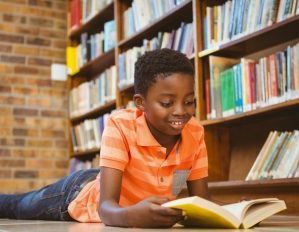 An 11-year-old from St. Louis wants to celebrate black books and improve the literacy rate among other boys at the same time. Sidney Keys III started his own reading club for boys called Books N Bros to show his peers that reading can be fun. Sidney told radio programÂ “St. Louis on the Airâ€ earlier this monthÂ that “every time I go to the library at my school, there aren’t many African American literature books there.â€Â After a visit to EyeSeeMe,Â a bookstore in University City, Missouri,Â that promotes African American children’s literature, he yearned to see more of himself reflected in books. Sidney’s mom, Winnie Caldwell, shot a video of him reading in the store in August that gained more than 62,000 views. She told the program that her son had never been to a store that housed so many books that reflected his culture. Caldwell said her son immediately had the idea to form a book club, using EyeSeeMe as itsÂ designated bookstore, after the video gained popularity. For more, visit The Huffington Post.